Completely cutting carbs is not the answer. High saturated fat and simple carb intake can lead to obesity, which worsens PCOS symptoms. Every person knows a woman who has polycystic ovary syndrome (PCOS). In fact, it's the most common hormonal disorder in pre-menopausal women, affecting between 12 and 21 percent of Australian women of child-bearing age -- or more than half a million Australian women. PCOS has many signs and symptoms -- including irregular periods, acne, excess facial and body hair, hair thinning, reduced fertility, anxiety and depression -- and all of these can worsen with obesity. 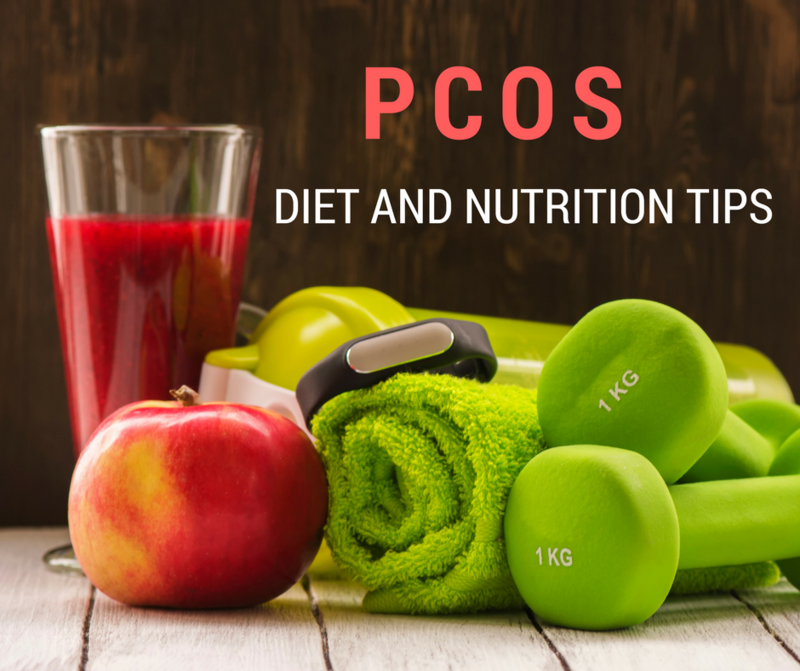 It's no surprise then that diet plays an important role in PCOS and managing symptoms. A recent study, which was published in the Dietitians Association of Australia's Nutrition and Dietetics journal, found that many women with PCOS are reducing their carbohydrate intake but overeating fat to manage their condition. The popular dietary choice to skimp on carbs and eat more saturated fats, however, may be doing more harm than good. 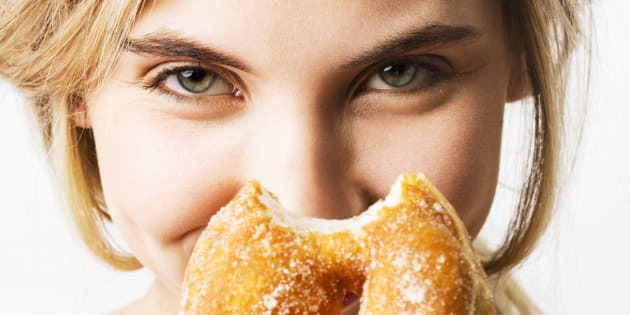 "Polycystic ovarian syndrome can make a lot of women become overweight and develop insulin resistance, which means that their blood sugars aren't behaving properly," Margaret Hays, accredited practising dietitian and spokesperson for the Dietitians Association of Australia, told The Huffington Post Australia. "Insulin resistance either drives PCOS or vice versa, so this is really the crux of the matter." 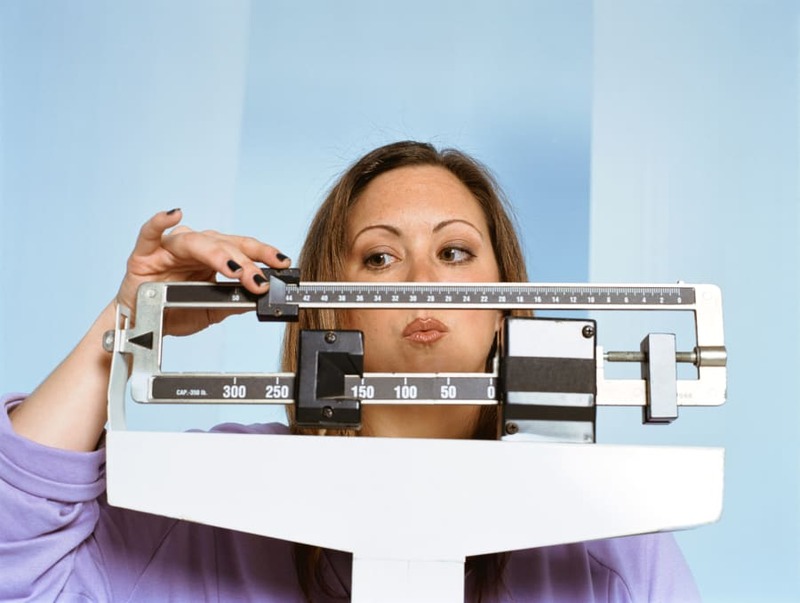 Polycystic ovary syndrome has been linked to increased risk of obesity and vice versa, which means being a healthy weight is crucial. The researchers of the study found that 61 percent of the women with PCOS in the study were insulin resistant, compared with 39 percent of control participants (women without PCOS). Even slim women with PCOS may have the genetic wiring which puts them at an increased health risk, the study showed. "There is a big push from celebrities to increase your intake of saturated fat and to decrease your intake of carbohydrates, so girls are picking this up, adding more saturated fat to their diet and we're seeing that this increases the risk of chronic disease like heart disease and diabetes," Hays explained. Hays added it's not so much that saturated fat affects the hormones, more so that increased saturated fat intake can lead to obesity and an increased chance of diabetes, which can affect PCOS symptoms. "It's more to do with the increased risk of chronic disease. The increased intake of saturated fat like coconut oil, palm oil, butter, cream and products like biscuits and cakes is increasing cholesterol and the risk of diabetes just because it's contributing to the overweight scenario." To improve fertility and reduce the risk of type 2 diabetes and heart disease, these women need to be choosing good quality carbohydrates with a low glycemic index and limiting saturated fat. Not to mention the fact that fat contains more energy (calories) than carbohydrates or protein which, when eaten in excess, increases the likelihood of becoming overweight. "One gram of fat -- and it doesn't matter if it's saturated, unsaturated or polyunsaturated -- is nine calories, so it still increases the energy density of a diet," Hays said. Along with increased saturated fat intake, many women with PCOS are also decreasing their low glycemic carbohydrate intake, which is not helping matters, Hays explained. "Many women are limiting the intake of low glycemic index carbohydrates, but we need those. They make us feel full and are good for our gut biome," Hays told HuffPost Australia. "The research also shows that PCOS behave better if you've got those in your diet. Rolled oats are a great low GI carbohydrate, which is the best reason to enjoy granola and porridge. "I think carbohydrates have been given a bad name. A lot of people are scared of them and I think the message is wrong. The message needs to be small amounts of low glycemic index carbohydrates, not no carbohydrates. Otherwise, people get very hungry." If you've had dinner that doesn't contain carbohydrates such as rice, potatoes or pasta, you have probably found yourself deep in the biscuit tin just a few hours later. "If they're avoiding all carbohydrates -- including no fruit -- that's cutting out large food groups which isn't really serving them well," Hays said. "This research has been done especially on limited carbohydrates and increased saturated fats, and there was no evidence that it's a good way to go." "If you do have PCOS, eating the right foods, getting regular exercise and maintaining a healthy weight can improve insulin resistance, helping to lower your risk of health problems linked with PCOS," Hays said. "To improve fertility and reduce the risk of type 2 diabetes and heart disease, these women need to be choosing good quality carbohydrates with a low glycemic index and limiting saturated fat," Hays said. 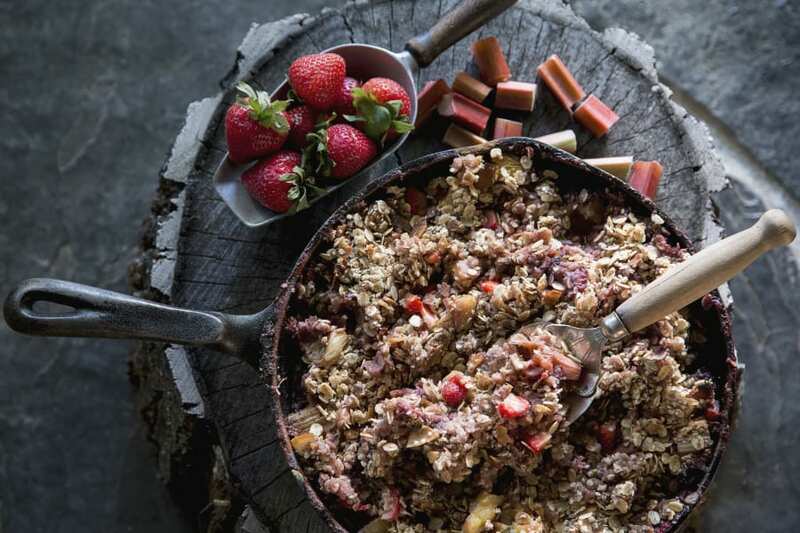 "Rolled oats are low GI, as well as barley, cracked wheat and whole grain, dense and heavy breads. That's just the unprocessed grains. And then you've got sweet potatoes which are low GI, as well as legumes like chickpeas, kidney beans and baked beans." 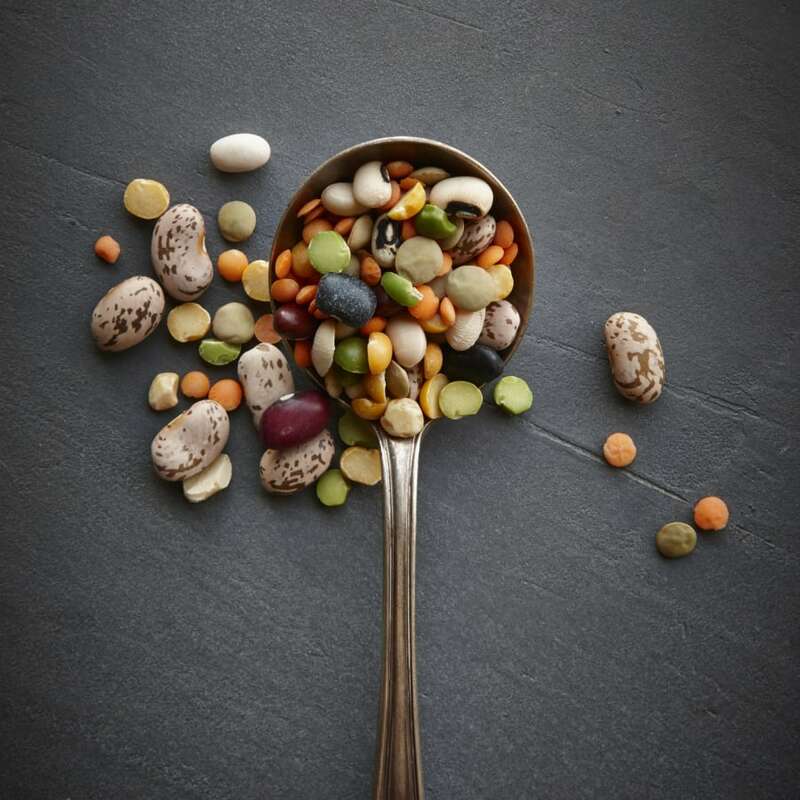 Legumes are a quality source of low GI carbohydrates that will keep you full for longer. Hays recommends to prioritise vegetables in your diet, aiming to eat different types and colours. To understand how much carbohydrates and vegetables to eat, try using the plate rule. "For most of my clients I see, I try to keep it really simple," she said. "I suggest at lunch and dinner to look at your plate -- half of that plate should be non-carbohydrate vegetables (leafy greens, cauliflower, broccoli, zucchini or salad), a quarter of the plate (which is about three-quarters of a cup cooked) of low GI pasta, basmati rice, cracked wheat or barley, and then the other quarter of your plate is your lean protein (meat, chicken, fish or vegetarian sources). "I just find that to be a really easy way for people. We're visual learners, we're busy and this way makes mealtime simple." For snacks, Hays recommends sticking to whole foods and leaving the cakes, soft drinks, lollies, pastries and biscuits for a treat. 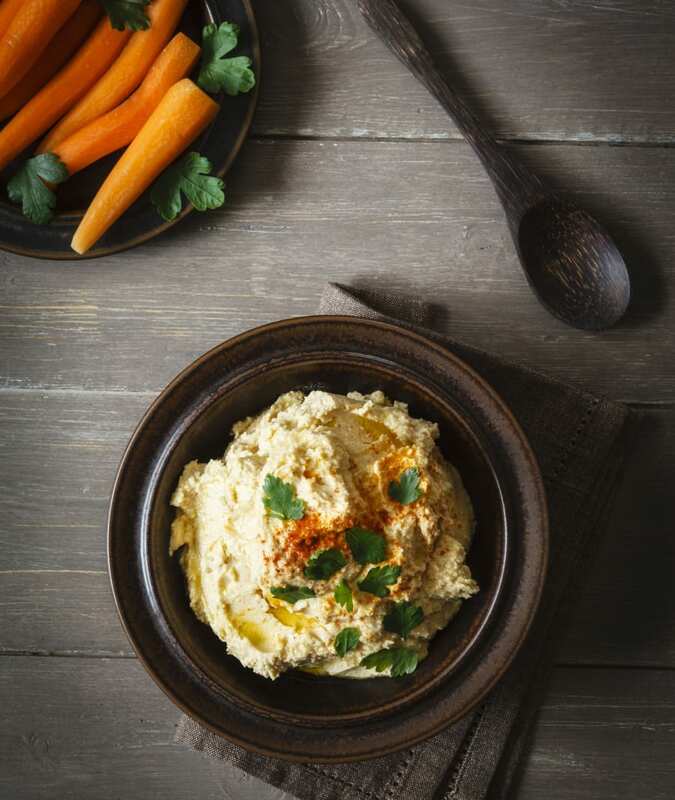 Hummus and carrots, the king of healthy snacks. "With snacks, and I think this for everybody, your cut up veggies with hummus, a small tub of yoghurt, a piece of fruit or a small serve of nuts are all perfect snack foods," Hays said. "For meals, you can have whatever you want as long as you stick to that plate diagram. You could have a different protein every day, a different carbohydrate and a different set of vegetables but you're making your meals up by that." Exercising regularly is also key in managing weight and PCOS symptoms. "You also can't underestimate the benefit of exercise. It decreases insulin resistance and really helps maintain the whole situation," Hays said. Staying active can help women maintain a healthy weight and reduce insulin resistance. If you are experiencing PCOS symptoms, check in with a health professional and avoid fad diets that cut out entire food groups. "A lot of these popular diet trends are just blanket statements and not everyone can follow them. It might suit five people but not suit the next five people," Hays said. "If women are struggling with PCOS and they're confused, which so many of my clients are, see an accredited practising dietitian. "We can help sort out your blood sugar levels and sort out how they're eating, so they feel much better emotionally and can get on with their life."